I had my 3?th birthday a few weeks ago and to celebrate, I baked my own birthday cake! (Is that weird? My friends kinda thought so 🤷🏻‍♀️😝). 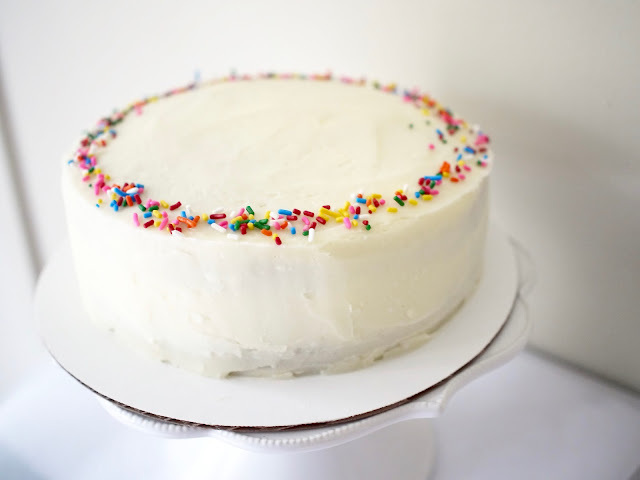 I used the occasion to make Molly Yeh's Funfetti Cake. I made a smaller version of the cake last year and couldn't wait to try baking the full recipe. Sadly, I didn't realize I used a 9 inch cake pan instead of an 8 inch one, like in the recipe. So with thinner layers in a larger circumference, the cakes baked a little longer, making a drier cake. Even through the less than ideal texture, the cake flavor was delicious. It was flavorful, not too sweet and looked beautifully festive with the pop of sprinkles in the batter. 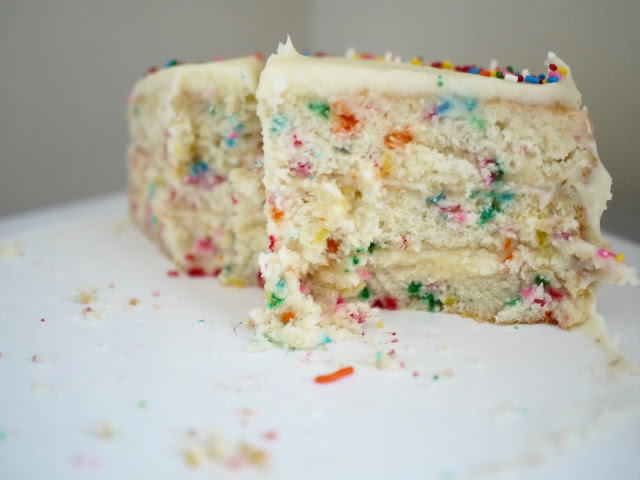 It tasted just like Funfetti cake from childhood. The Recipe: Funfetti Cake from My Name is Yeh. Molly exhaustively tested batch after batch of funfetti cake to create the perfect homemade version that had just the right amount of sprinkles and the nostalgic flavor of the Pillsbury version. Just be sure to use 8 inch pans or if using a 9 inch pan, lower the baking time.